An action under Part XXIII.1 of the Securities Act for misrepresentation in the general (a.k.a. 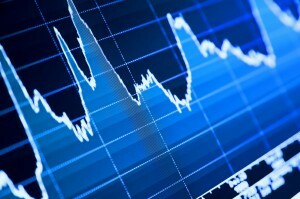 secondary) market for securities needed an order granting the court’s leave (i.e. permission) to proceed within three years of the misrepresentation, or it was out of time. If the plaintiffs made reasonable efforts to get leave within three years but ran out of time, the court had discretion to retroactively grant leave within the time limit. The plaintiffs in CIBC and IMAX had earned the right to retroactive leave, so their claims under the Securities Act may proceed. The plaintiffs in Celestica did not, so their class action is over. The Supreme Court did not need to clarify the law for class actions after July 24, 2014. On that date, an Ontario legislative amendment confirmed that securities class actions no longer need leave within three years. Instead, the limitation period stops when plaintiffs file a notice of motion seeking leave. But the amendment was not retroactive, so the Supreme Court’s decision was a much anticipated end to a storm that started just under four years ago. On February 16, 2012, the Ontario Court of Appeal shocked the legal community by rendering its decision in Sharma v. Timminco. Until then, the general view was that filing a statement of claim suspended the limitation period under Part XXIII.1 of the Securities Act in a securities class action. The Court of Appeal disagreed, deciding that the three year limitation period in s. 138.14 of the Ontario Securities Act kept running until the court had actually granted leave to proceed under s. 138.8. Without Part XXIII.1 of the Securities Act, which includes s. 138.8 and s. 138.14, general groups of investors usually cannot win a class action for misrepresentations in the secondary securities market. Under common law, negligent misrepresentation claims generally require each plaintiff to prove that they relied on the misrepresentation. This typically cannot be decided as a common issue in a class action, so Part XXIII.1 created a statutory claim for misrepresentation that does not require proof of reliance. The catch under Part XXIII.1 is that plaintiffs need the court’s leave to commence the action, and the action must be commenced within three years of the misrepresentation. To get leave, the plaintiffs must file a statement of claim and successfully bring a motion for leave, which can be very time-consuming. When the Court of Appeal released its decision in Timminco, the Ontario Superior Court was hearing arguments on the leave motion in CIBC. In an oft-quoted statement, defence counsel described Timminco as a “thunderbolt”. By that time, over three years had passed since the alleged misrepresentations at issue, which involved CIBC’s exposure to U.S. residential mortgages before the global financial crisis. Applying Timminco, the Superior Court reluctantly dismissed the class action as out of time. The tides turned in IMAX and Celestica, when the Superior Court decided it could grant leave retroactively using the doctrines of nunc pro tunc (“now for then”) and special circumstances. These essentially involve discretion to relieve plaintiffs from the three year limitation period when the courts decide it is fair. Please see here for our report on the IMAX decision. CIBC, IMAX, and Celestica were all appealed. In a special five-judge panel, the Court of Appeal reversed its own decision in Timminco. The decision went further than IMAX and Celestica by generously reading s. 28 of the Ontario Class Proceedings Act, which provides that a statement of claim that commences a class action also suspends the limitation periods for all causes of action “asserted” in the class action. In Timminco, the Court of Appeal decided it was impossible to “assert” a Part XXIII.1 cause of action until the court granted leave. In CIBC, IMAX, and Celestica, the Court of Appeal decided the opposite. The Supreme Court previously denied leave to appeal the Timminco decision. Then the Court of Appeal changed its mind in CIBC, IMAX, and Celestica, and the Supreme Court chose to weigh in when the defendants all appealed. It was not an easy decision. The seven judges deciding the appeal were Chief Justice McLachlin and Justices Rothstein, Côté, Moldaver, Karakatsanis, Gascon, and Cromwell. The first three judges reaffirmed Timminco and rejected the Court of Appeal’s analysis in CIBC, IMAX, and Celestica. The next three upheld the analysis of the Court of Appeal below and dismissed the appeals. Justice Cromwell cast the deciding vote. Justice Côté: A Part XXIII.1 cause of action does not exist without leave. Before leave, it cannot be asserted to suspend the limitation period under s. 28 of the Class Proceedings Act. The nunc pro tunc doctrine allows the court to grant leave retroactively in limited circumstances. However, those circumstances only existed for some of the claims in IMAX. The remaining Part XXIII.1 claims in IMAX were out of time, along with all the Part XXIII.1 claims in both CIBC and Celestica. Justice Karakatsanis: The statements of claim in CIBC, IMAX, and Celestica all pleaded both Part XXIII.1 and common law causes of action. The common law causes of action did not require leave. Therefore, the class proceedings were commenced when the statements of claim were filed. As long as a proceeding is commenced, the statement of claim may assert a Part XXIII.1 cause of action and suspend the limitation period before leave is granted. Obtaining leave is procedural, not an essential part of the cause of action. Justice Cromwell: Justice Côté is correct that a Part XXIII.1 cause of action cannot be asserted without leave. However, Justice Côté did not accord sufficient deference to the Superior Court judges in CIBC and IMAX, who decided that retroactively granting leave would be fair under nunc pro tunc. Retroactive leave was not fair in Celestica, where the plaintiffs had not even filed a motion to seek leave within the three years after the alleged misrepresentations. So, in a four to three majority, the Supreme Court found that the Court of Appeal’s thunderbolt decision was right the first time. Yet owing to Justice Cromwell’s deference to the discretion of the motions judges, two out of three class actions survived the storm. For everyone interested in class actions, this judgment both frustrates and enlightens. The frustrating part is that Canada’s highest court could not agree on one of the most hotly contested issues in securities class actions. The judgment terminated one class action and allowed two others because of discretion rather than a clear legal rule. Discretion is basically unpredictable and varies tremendously from one case to another. Obtaining leave requires evidence proving that an action under Part XXIII.1 has a reasonable chance of success. Earlier this year, the Supreme Court applied this standard for leave under the Quebec Securities Act in the 121851 Canada v. Theratechnologies decision. In CIBC, IMAX and Celestica, the Court unanimously confirmed that this test also applies to Part XXIII.1 of the Ontario Securities Act. There is now no doubt that leave will not be granted if the plaintiffs do not provide at least some evidence showing that a Part XXIII.1 claim has a reasonable chance of succeeding at trial. It remains very difficult for plaintiffs to win a securities class action for negligent misrepresentation under the common law. But in CIBC the Supreme Court unanimously agreed that certain elements of a negligent misrepresentation claim can be certified as a class action. A class action can decide whether the defendants owe the plaintiffs a duty of care, but a class action common issues trial generally cannot decide issues of reliance on any misrepresentations or whether any misrepresentations entitle the plaintiffs to compensation. That must be done on a plaintiff-by-plaintiff basis. Finally, the July 24, 2014 legislative amendment confirmed that, going forward, the limitation period is suspended upon filing a notice of motion to seek leave, not getting leave. Hence, these decisions based upon the old version of s. 138.14 are limited in their application to future secondary market securities class actions. A major storm in securities class actions has ended. It will not be the last.